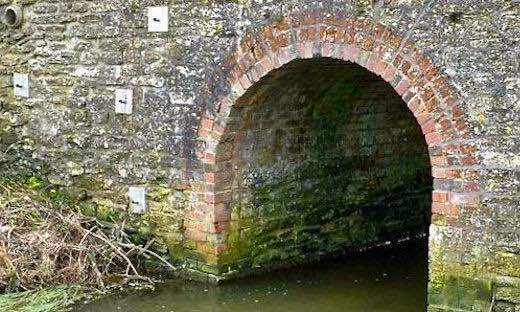 A masonry highway bridge on a small country road was repaired without the need for road closure. This Highway Bridge carries a small country road over a storm water course that drains a section of the M4 Motorway and the requirement was to complete the works without closure of the road crossing the bridge. The barrel is constructed in brick and the spandrel walls and parapets are in stone. All the normal problems associated with this type of construction were evident, with deterioration of the barrel, cracking at the line of the spandrel and bulging of the spandrel walls. 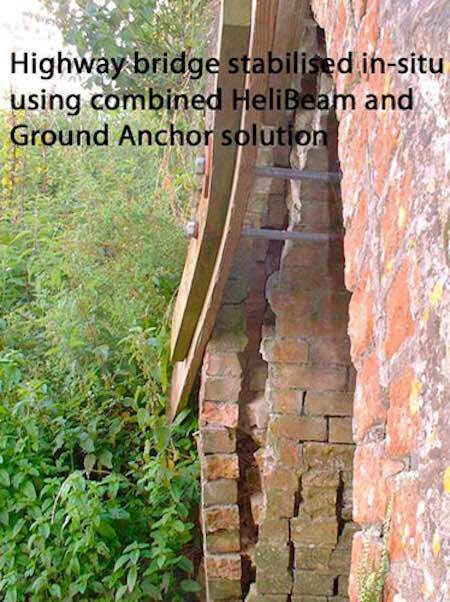 The repair involved the installation of ground anchors and Helifix reinforcement. The Helifix bars are continuous through the barrel, to link the two spandrel walls. The client specifically requested that the repair should be left visible, with the Helifix Grout finished flush with the face of the brickwork and stonework. All works were completed by TRAC Structural Ltd as Main Contractor.